Are Domestic Dogs Evolving Faster Than Man? When you look back over the last millennium, it's hard to say if man has evolved? Homo sapiens, the forerunner of anatomically modern humans, evolved between 400,000 and 250,000 years ago. Whereas the lineage of domesticated dogs from wolves is estimated to have occurred only 15,000 years back. 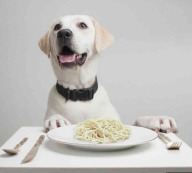 Journalist and physician David Brown writes in the Washington Post that a change in diet might have accelerated the canine evolutionary process. "Your dog’s willingness to eat (dog biscuits made from wheat), instead of going for a bone in your thigh, helps explain how its ancestors evolved from wolves into house pets," he says. Swedish researchers have uncovered some very interesting evolutionary changes in Dogs love their starches!comparing the genomes of wolves and dogs. By pet owners feeding dogs starches instead of meat, dogs have quickly evolved from their "pack-hunting carnivore" predilection to home and hearth companions. In Mark Derr's book, "How The Dog Became The Dog," he believes that the changes started to occur in the eighteenth century, when humans began the drive to exercise full control over dogs to complete the domestication process of its wolf ancestors. The findings in Nature, an international science journal supports the hypothesis that dogs evolving from wolves allowed interactions with man when they began to search out food sources in refuse on the outskirts of human settlements. An alternate theory is that wolves were captured by hunter-gatherers, who tamed, bred and eventually settled down with them. In either event, archaeological remains reveal dogs and humans have shared the same graves dating back 11,000 years ago, at the dawn of man shifting from a hunting to an agrarian society. "Accompanying the dietary change — and probably evolving along with it," notes Brown — were behavioral adaptations that allowed dogs to tolerate man who ultimately become their masters. Additionally, the Swedish researchers found strong evidence of genetic differences in brain function — and particularly brain development — between wolves and dogs, which they have not yet analyzed. In Moscow, dog evolution has taken yet another turn. 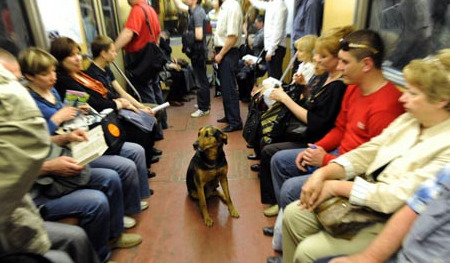 According to Stuart Fox who writes for POPSCI, in his report titled, "Moscow's Stray Dogs Evolving Greater Intelligence, Including a Mastery of the Subway," he suggests that "the fierce pressure of urban living has driven dogs to evolve (back to) some wolf-like traits (displaying) increased intelligence, and even the ability to navigate the subway." Relying on scraps of food from commuters, "the beggar dogs" as Fox describes them, not only recognize which humans are most likely to give them something to eat, but have evolved to actually becoming commuters on the subway. Using scents, and the ability to recognize the train conductors for different stops, they incorporate many stations into their territories and daily journeys. Evolution has perhaps propelled Darwin's theory of natural selection in these cases. Since most of the strays take to the streets as rejected house pets, they either need to learn to thrive in the harsh realities of urban living or die from neglect. Reversing the domestication process somewhat, these dogs revert back to their primal instincts, where the fittest ultimately have the best shot at surviving. So whether or not, dogs are evolving faster than man, it does appear they've learned when to be cooperative and when to fend for themselves -- something man has had a harder time in dealing with, particularly in times of crisis. According to Brown, it might also explain why dogs still remain man's best friend. "They grew up together," he says. 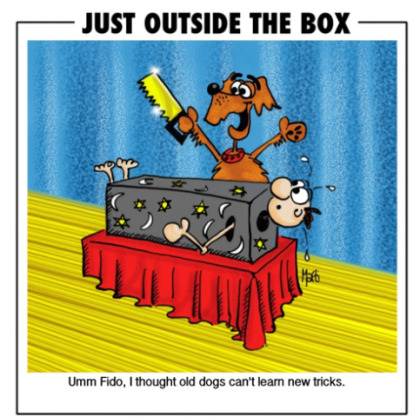 I would take this one step further and say, there's still a few new tricks we can learn from those old dogs! SPCA Saves Deserted Tarantula In New York!